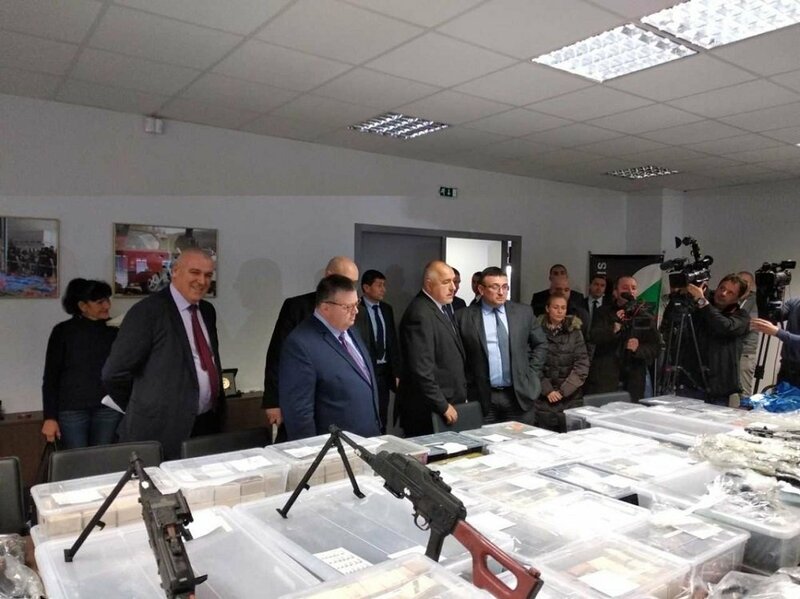 SOFIA, Bulgaria (BulgarianMilitary.com) – The Prosecutor’s Office of Republic of Bulgaria has ordered an inspection to be carried out in the Kazanlak-based arms factory “Arsenal”, in connection with the number of weapons, presumably manufactured and illegally taken out of that factory, which were seized on 4th December during an operation of DGCOC in Kazanlak, learned BulgarianMilitary.com. During the action in Kazanlak, a criminal organization, involved in the sale of arms that are likely to be stolen from the manufacturing plant in Kazanlak, was arrested. The found weapons included 17 Kalashnikov rifles, 15 Makarov pistols and 12 barrels. In another joint operation of DGCOC and the Specialized Prosecutor’s Office, in Sofia neighborhood Reduta, a record number of illegal weapons and ammunition were found in a garage, among them there were machine guns and pistols, involving 65 Kalashnikov rifles, 37 Scorpion guns, 43 pistols, 8kg. of highly explosive black powder, 14 rocket-propelled grenade launchers and tens of thousands of cartridges. Some of them were also captured during a search in the village of Gabarevo, Municipality of Pavel Banya. In the arsenal there were the silencers, which are used only by the Bulgarian special units. According to the state indictment, there is reason to assume that the illegal weapons have been manufactured at the factory and stolen from there. Now, the office of “KOS” in the General Directorate of National Police is about to carry out an investigation at “Arsenal”, ordered by the Prosecutor’s Office of Bulgaria. The service will have one month to complete the inspection and to provide a summary report, stating whether there are violations of normative acts and what are they, as well as the measures and actions taken to resolve them. The report should also point out the effects of the measures taken and whether sanctions have been imposed. It will also be inspected whether there is any possibility to be illegally taken out machine guns, pistols, and silencers from Arsenal, on such large scale. The Prosecutor’s Office of Republic of Bulgaria is aware of the fact that such an inspection cannot be concluded within a month. In this case, the prosecution should be acquainted with the reasons for the delay, as well as with the shortest possible deadline. However, an official statement of the company’s management will be released when the experts find out if the captured weapons are manufactured in Arsenal.